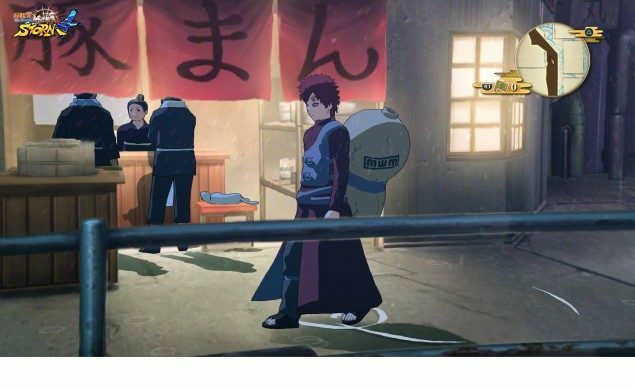 A couple of weeks back, some new screenshots showcasing another Naruto Shippuden Ultimate Ninja Storm 4 DLC pack focused on Gaara have surfaced online. Publisher Bandai Namco hasn’t said much about the DLC pack since then, but today we are able to learn more about it thanks to a brand new trailer. The new trailer not only showcases some of the action players will be able to enjoy in the Naruto Shippuden Ultimate Ninja Storm 4 new DLC pack, but also the additional content included in it, such as the Wandering Shonobi costume for Sasuke Uchiha, the High-Speed Armored Rotation, Burning Hot: Fierce Tiger Lotus Peacock Attack and Susano’o: Twin Thunder Gods Combination Secret Techniques and much more. You can check out the trailer right below. The Naruto Shippuden Ultimate Ninja Storm 4 Gaara’s Tale – Bonds of the Sandy Shore will be released next week, on April 5th, for all Season Pass owners. Everyone else will be able to purchase the DLC pack from April 12th. The previous Naruto Shippuden Ultimate Ninja Storm 4 DLC pack included a new scenario focused on Shikamaru based on the official book starring the character set after the events of the Fourth Shinobi War, new Combination Secret Techniques, an additional costume for Naruto and more. More Naruto Shippuden Ultimate Ninja Storm 4 DLC pack will also be released in the next few months. The yet to be detailed packs will include even more additional content such as sub scenarios, new combination techniques, new costumes , new Ninja Info Cards, new Matching Voice, costumes from previous Naruto games and extra playable characters. Naruto Shippuden Ultimate Ninja Storm 4 is now available in all regions on PC, PlayStation 4 and Xbox One. More on future additional content for the game will be coming soon so stay tuned for all the latest news on CyberConnect 2 latest title.